About the Blackfeet: The Blackfeet originated in the Great Lakes region and came to the region between the Bow and North Saskatchewan Rivers before the 17th century. By the mid-18th century the Blackfeet migrated into Montana and displaced the Shoshone. In the early- to mid-19th century the Blackfeet acquired both horses and guns, which transformed them into hunters and raiders. Also known as shrewd traders, the Blackfeet played the British against the Americans in the fur trade. Members of a confederacy of closely related Plains tribes, the Blackfeet are the only ones of this confederacy to have a reservation in the United States. Other members of the confederacy live on reservations in Canada. History of the Reservation: The Fort Laramie Treaty of 1851 created the Blackfeet Reservation but subsequent agreements with the government reduced their land. In 1888 the Sweetgrass Hills Treaty introduced the allotment system of private land ownership. Another treaty in 1896 forced the Blackfeet to cede land back to the government to create Glacier National Park. The Reservation currently stands at 1.5 million acres. Life on the Reservation: Although the Tribe owns a pencil-and-pen factory and the Blackfeet National Bank, non-Indians own most businesses and services. The Tribe and the federal government also provide some employment on the Reservation. 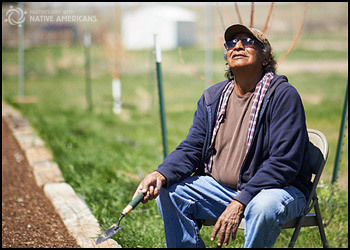 Despite the Tribe’s efforts to establish industry and services on the Reservation, only one out of two working-age Blackfeet has a job and Tribe members must survive on $4,718 per year. Blackfeet on the map: Glacier and Pondera counties, Montana.